Selecting a new solution for your business can be a daunting process. What tools do you add to your short list? What’s a comparable tool to the one that you’re trying to replace? What does the UI actually look like? Finding the right information and ensuring it’s accurate can be an extremely time consuming process. Today, we’re introducing the new Destination Catalog to help streamline the vendor selection process. Segment empowers your team to send customer data to over 200 Destinations. With the new Destinations Catalog, it’s even easier to browse integrations and warehouses that enable you to personalize campaigns, analyze product usage, and more. Within the Destinations catalog, we’ve added two new categories, “Most Installed” and “New & Noteworthy,” to help you discover new tools within the Segment app. You can still browse the catalog by category or search for a Destination by name. 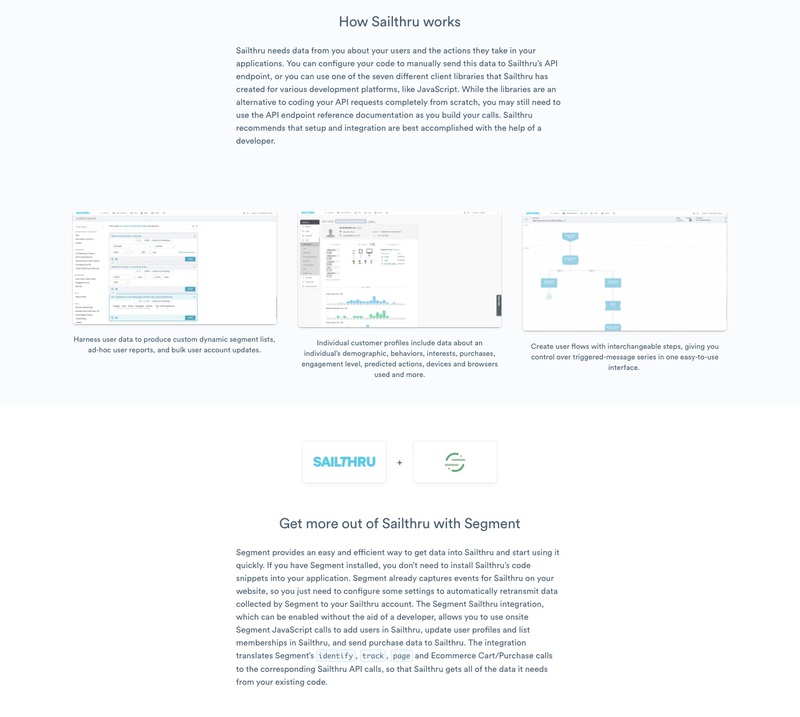 Clicking on an integration will now provide you with a host of new detailed information on what the tool does, how it works, what the UI looks like, and how you can get more out of it with Segment (in addition to the painless integration process). Once you’re ready to add a Destination, simply click the “Configure” button to complete the setup in the Segment app. You can access the Destinations Catalog at segment.com/catalog or by signing into the app and clicking the “Add Destination” button on the Overview page.